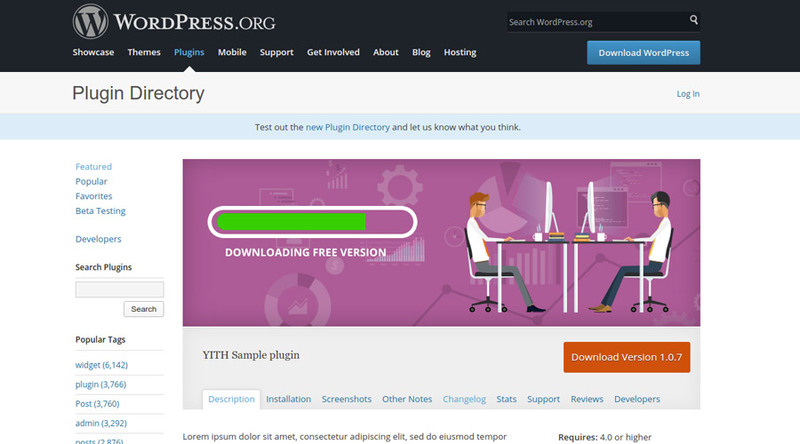 Download the free version of the plugin from WordPress.org clicking on the "Download" button you can find in this page. 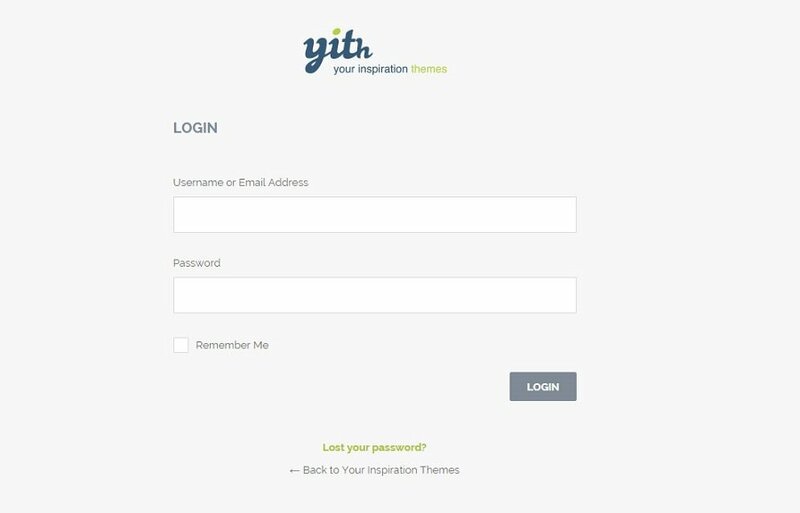 Go to your member area on yithemes.com. 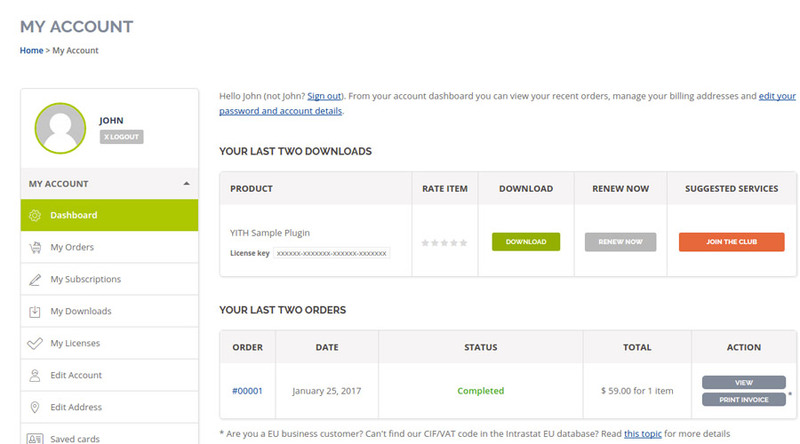 Click on the "Download" button you can find in the related order you have made. 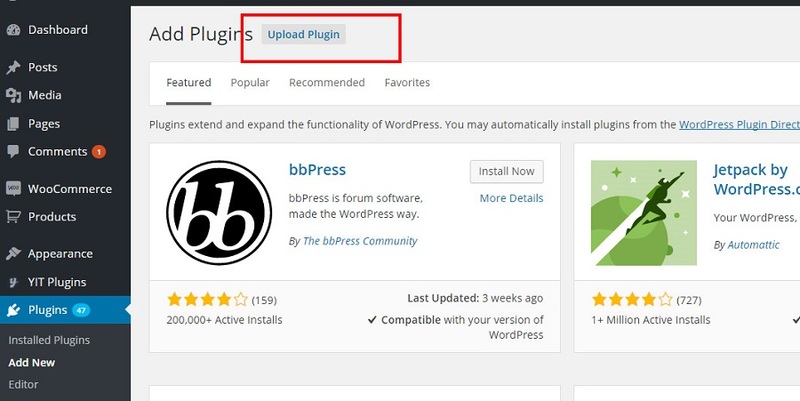 In order to work correctly, the plugin must be installed following the previous steps. 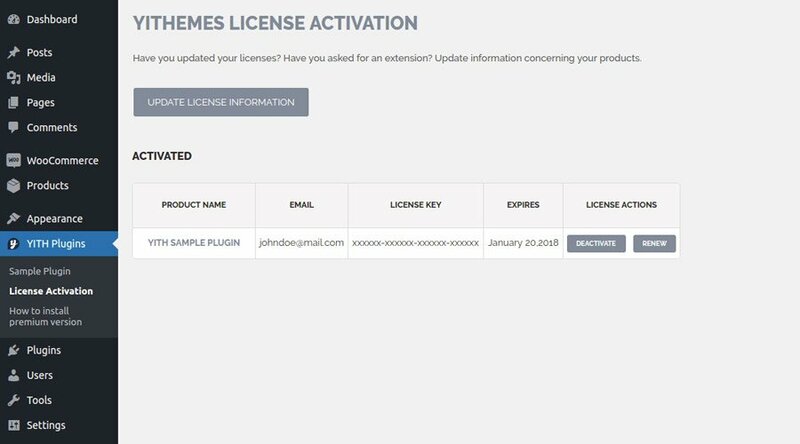 However, if you have purchased the premium version of the plugin and you want to benefit from automatic updates of the development team, or access to the support platform to receive help by our staff, you need to activate the plugin. 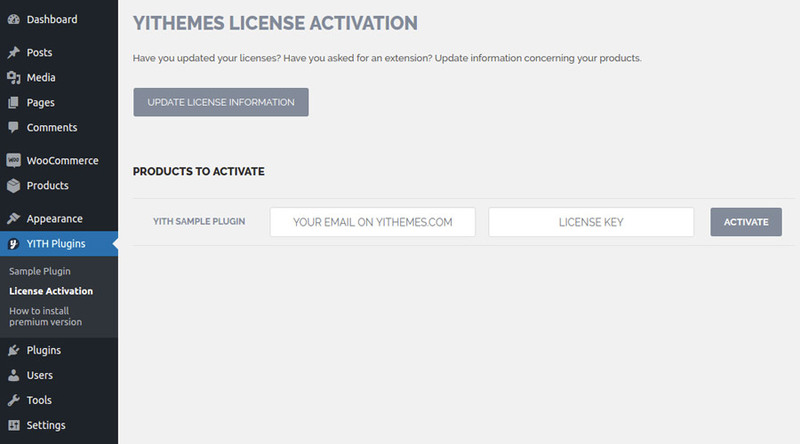 Go to your member are on yithemes.com and click on the "License" tab to get your license key for the activation of the plugin. 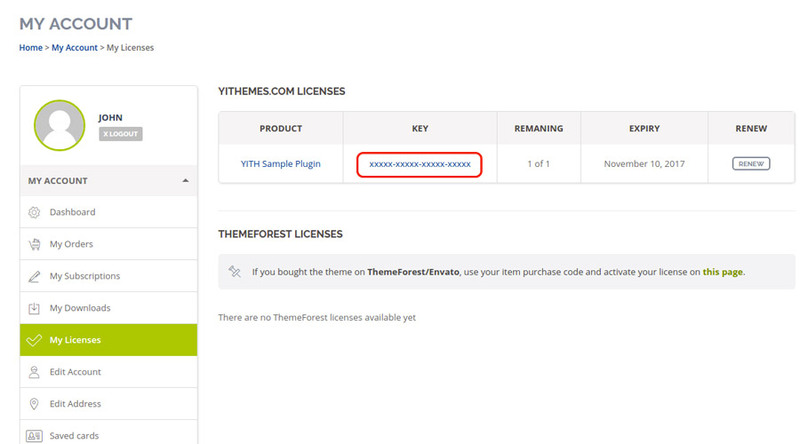 Now access your WordPress platform, go to the "YITH Plugins" option and add you license key in the License Activation tab. 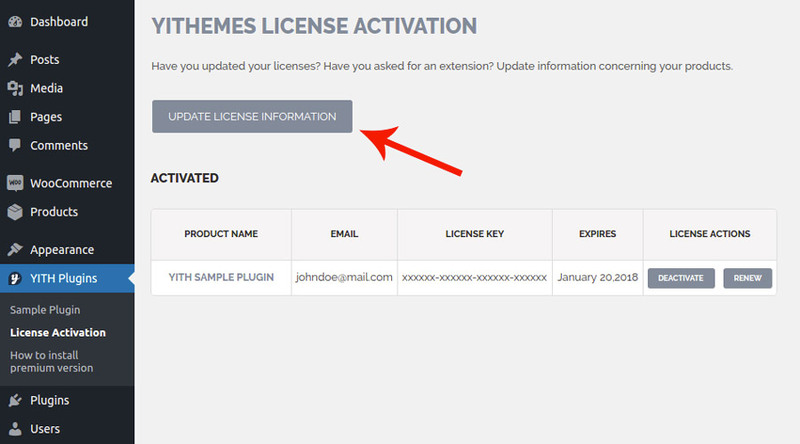 Note: the License tab will be available only if you have downloaded and installed the premim version of the plugin. If the activation process worked fine, you will see a screen like the following one.